In Honor of the First! I love my TIH #1 – it is the jewel of my collection, I love it more than the air I breathe. 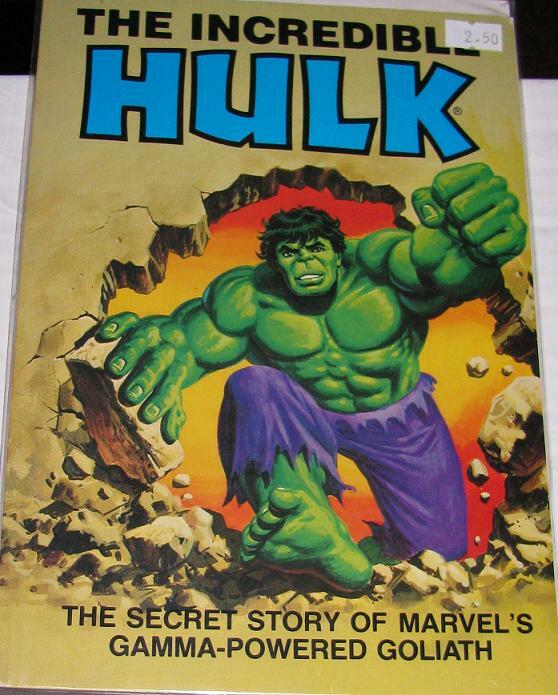 It’s true… But this is not the only #1 in the collection that features the Hulk – so here is a gallery of the #1’s that every Hulk fan should have! 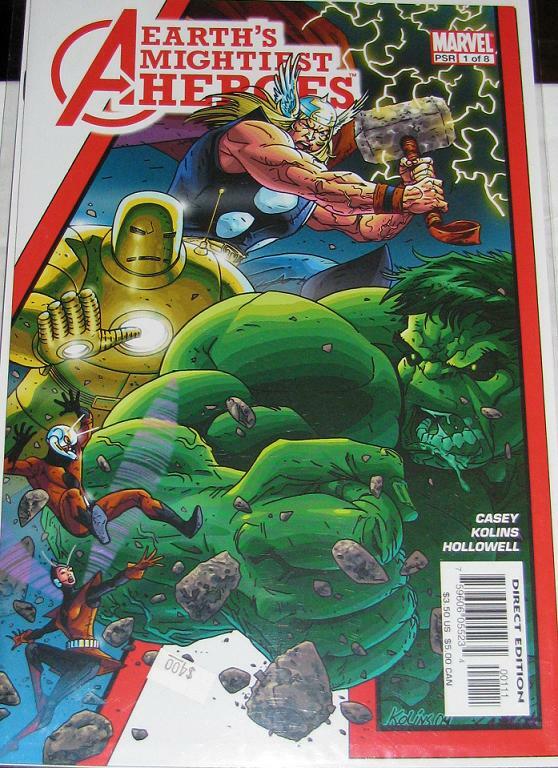 That’s right – Avengers #1. One of the best, classic and important books in the MU. Now onto some covers you haven’t seen yet on this site! 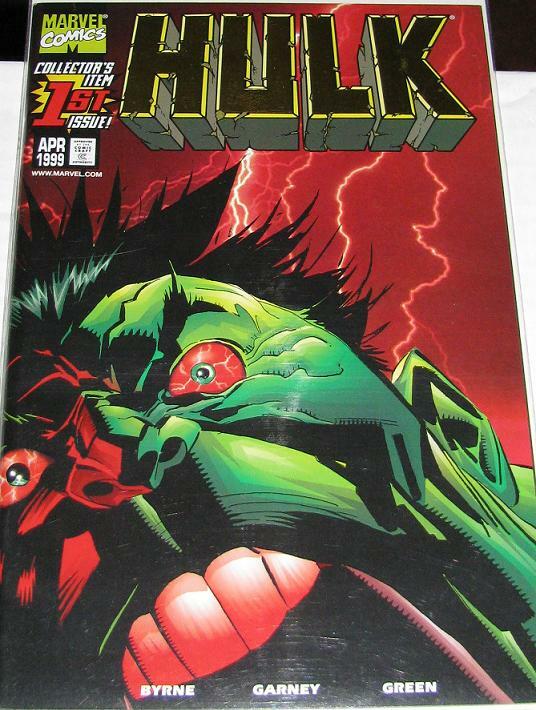 First, a bit of history… 1999 was a desperate year for the Marvel heroes – and in an attempt to again grasp their once huge sales they re-numbered their titles – and here are the #1’s from that era. 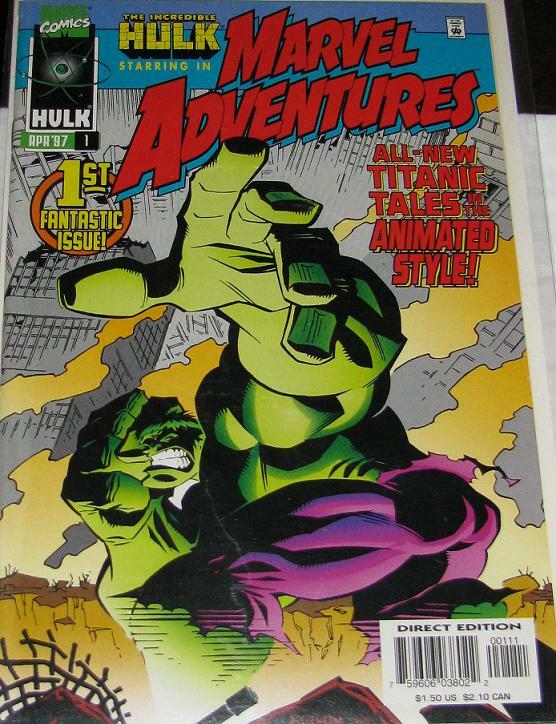 But before these hit the stands – back in the 90’s Marvel released the Marvel Adventures title before – but the Hulk wasn’t featured in each issue. 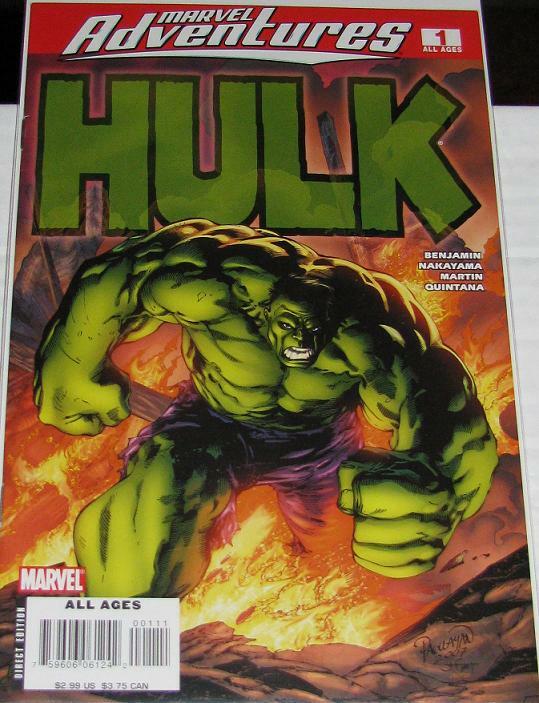 He did, however, appear as the first hero featured to launch the title! 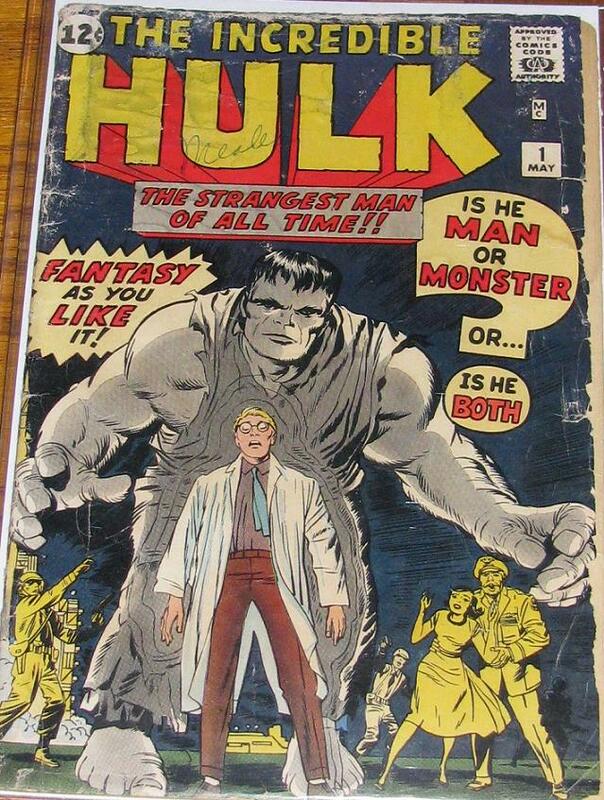 Now – Here’s a #1 that’s not a Hulk! 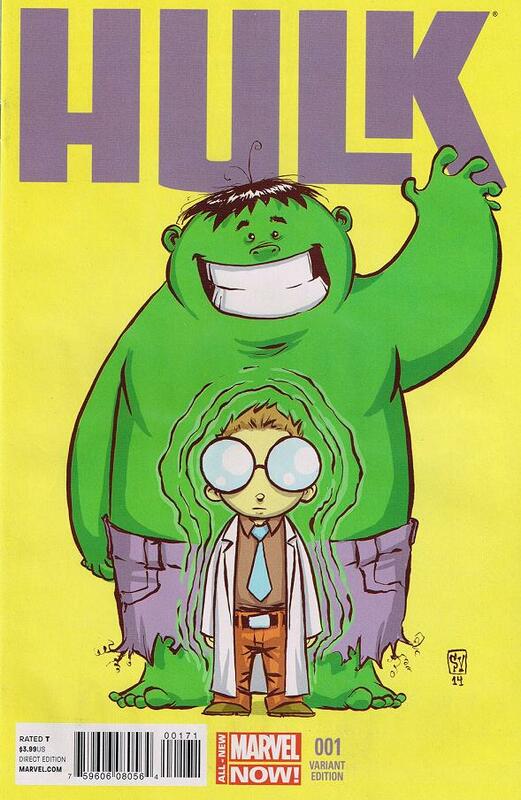 But Hulk plays such an important part of the series! 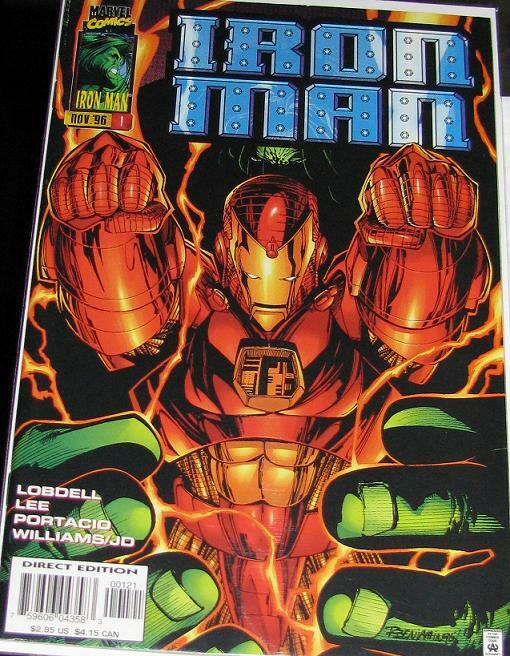 It’s Heroes Reborn: Iron Man #1 – the Hulk variant! 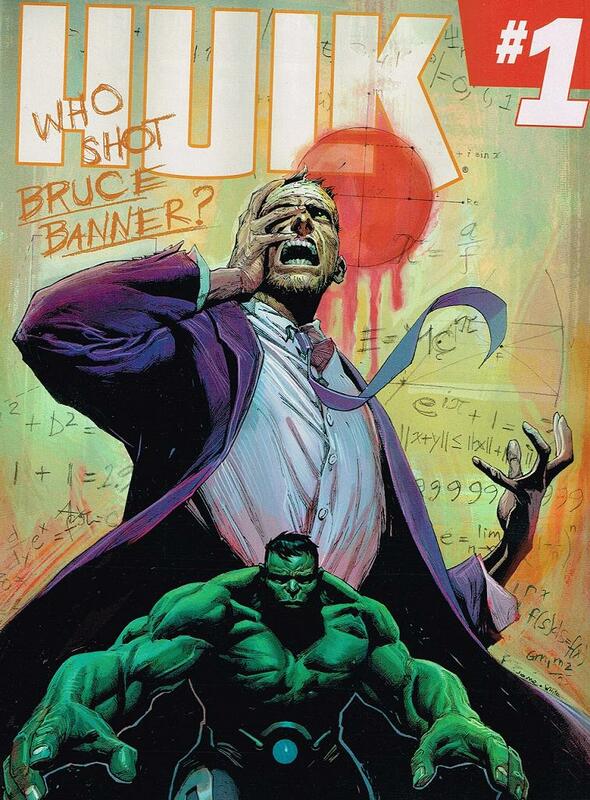 I love this cover – much better than the original, regular cover! 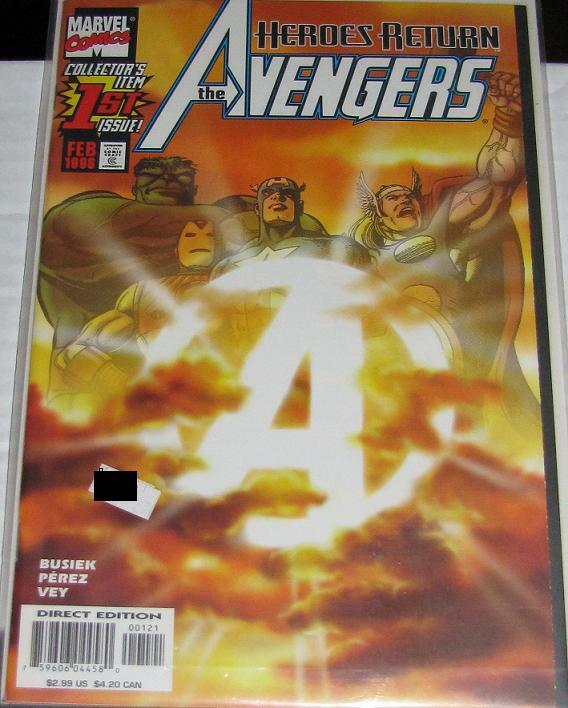 Of course the heroes would eventually return to the 616 Universe – and the re-start of the Avengers had a variant “sunburst” cover that featured most of the original members… and Cap. 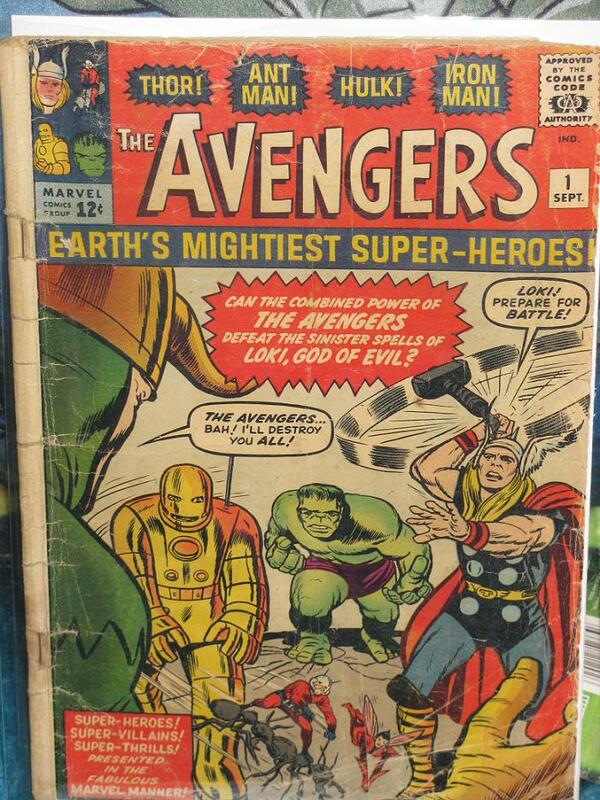 Speaking of the Avengers… and it’s original Members! 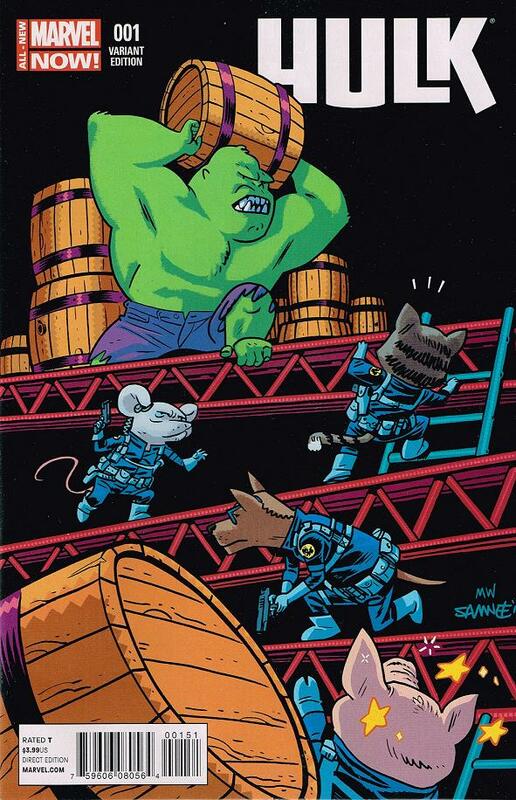 So, I hope you enjoyed the special treat I prepared for you Hulk fans! 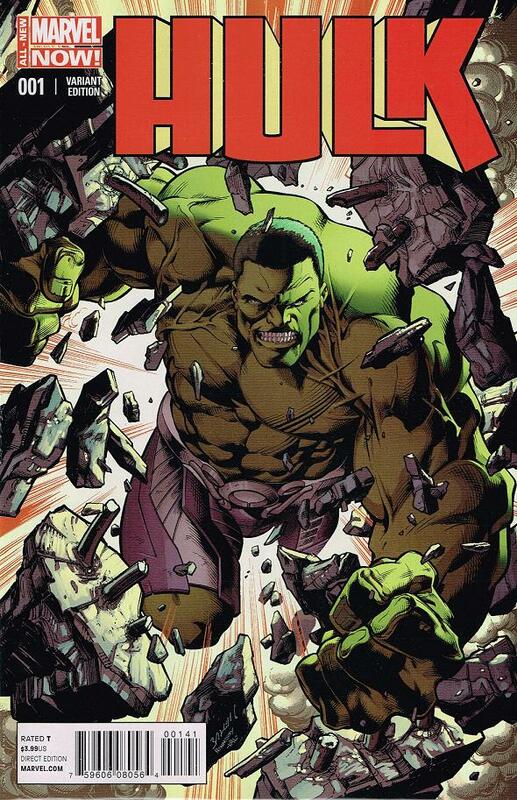 Here’s to having a great 2010 – and I will be back on Monday with Hulk collectibles to make you guys drool! HAPPY NEW YEAR! 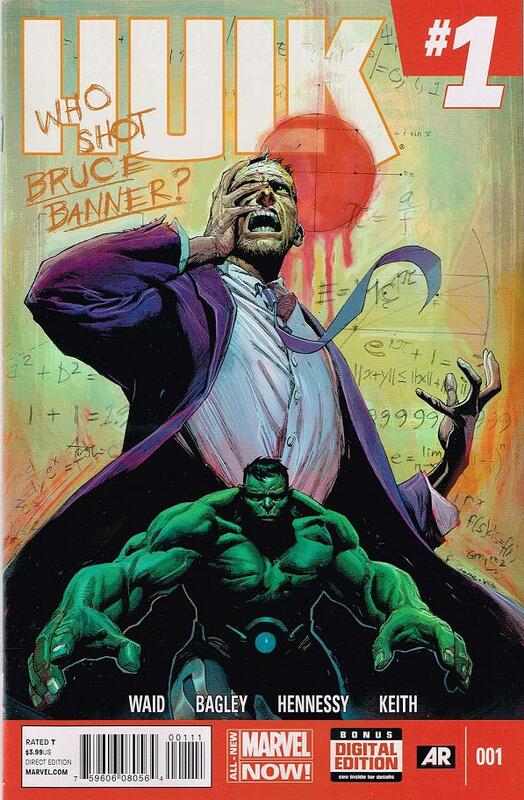 You would see that the Hulk went from selling 133,895 comics in Jan. of 2008 to 87,774 in December. 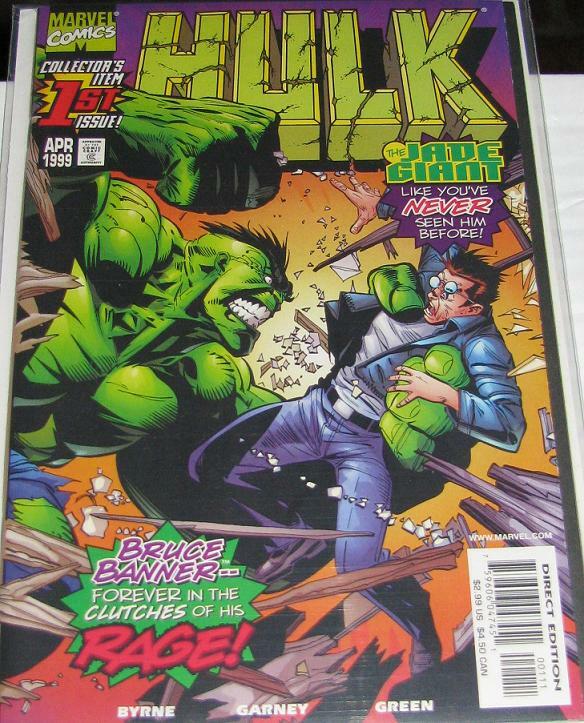 While 87,000 comics is still huge in this market – it’s also a difference of 46,121 comics. 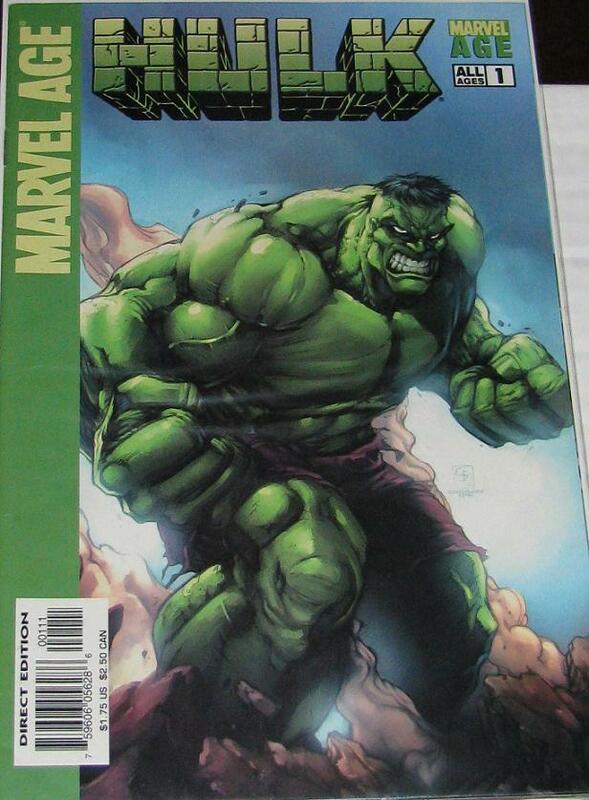 In fact, most of the sales are highly inflated – mainly because of variant covers. I have said that I’m not a huge fan of variants – and I’m not – for two reasons mainly. First off – they sell for inflated prices that never hold up. Secondly, it’s just a way to pad sales. So, why is it I have these variants? Well, I went to a few comic shows and they were there – that’s one. 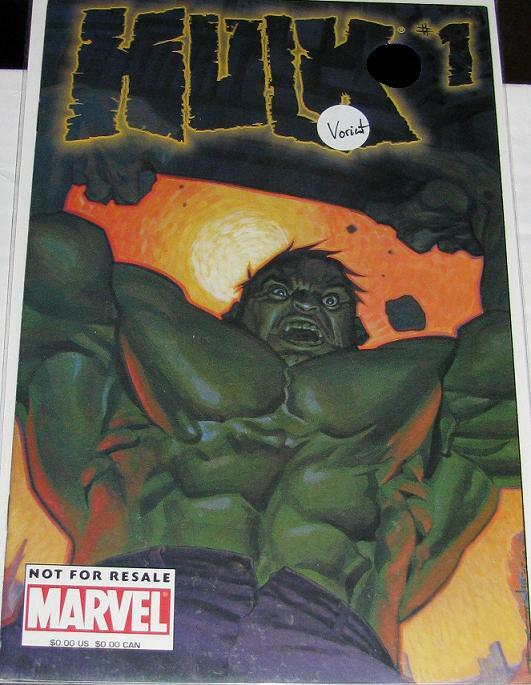 And another is my friend Corry will call me up and say – “Hey, I have that Hulk variant #9, do you want it?” – And all I hear is… “I have something Hulk that you don’t have yet so you better buy it” And I do. That’s how it came to me acquiring these two variants. 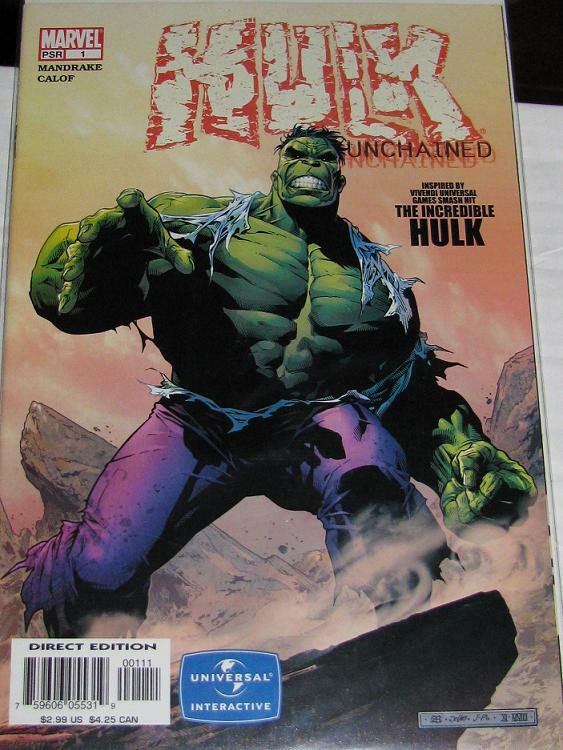 The Keown Hulk cover and the Turner Hulk cover. Keown has it hands down if you ask me – but Turner will be sorely missed and he had such a great style. 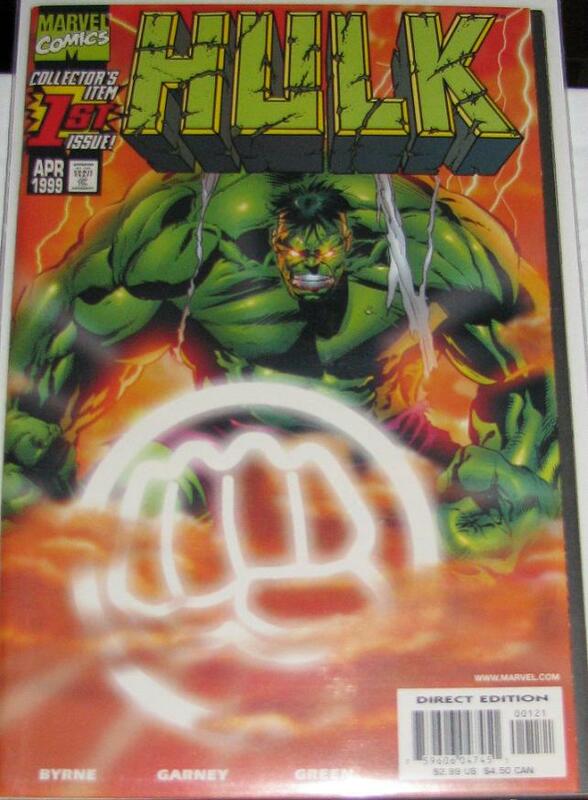 If those Hulk #1 sketch covers went out of your price range – and unless you had thousands to spend then they were! 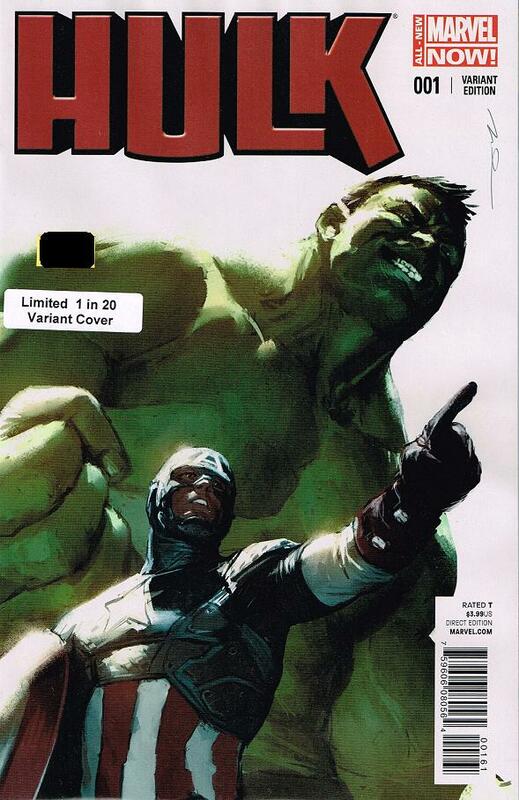 – Well, Marvel has collected all 100 covers into 1 book coming out soon – click the image for details! I knew I had this somewhere! I was searching everywhere (it was in storage) and thought it was lost forever! Until I came across it in a bin titled: FALL STUFF. Fall stuff? I have no idea how this ended up in that bin. 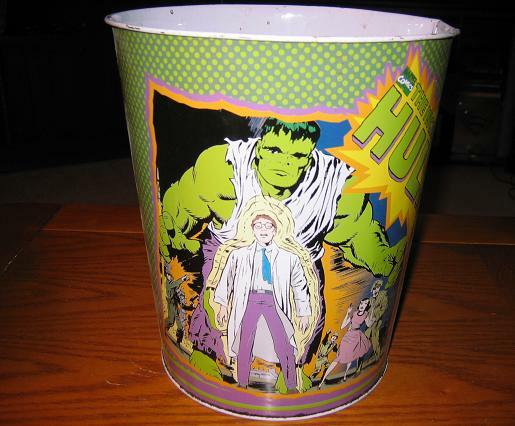 They re-colored the cover to Hulk #1 for this trashcan to make him green. It looks strange green. Really strange.